Insight activities provide unique and fun activities within the New Forest, Hampshire and in Tolpuddle, Dorset. If you’re looking for one of the best things to do whilst visiting then please read on, we are ranked as the No.1 local attraction, Tripadvisor 2016 & 2017. 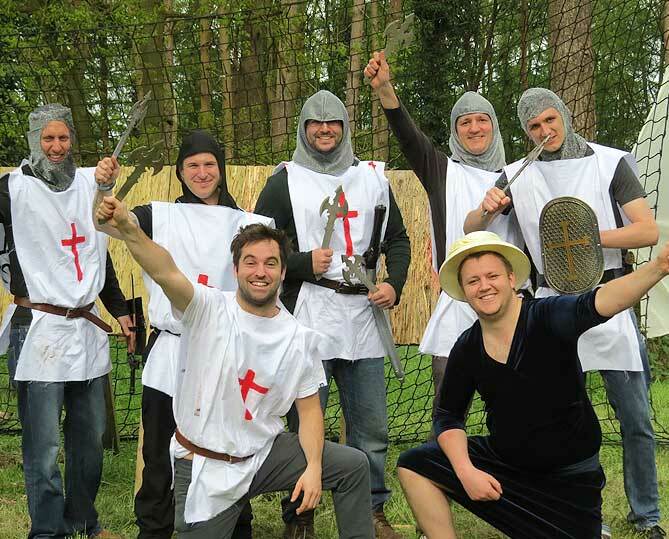 We offer activities for individuals, couples, families, stag and hen, birthday parties and corporate events. Unique ways to connect with, engage and explore the beautiful New Forest and rural Dorset. 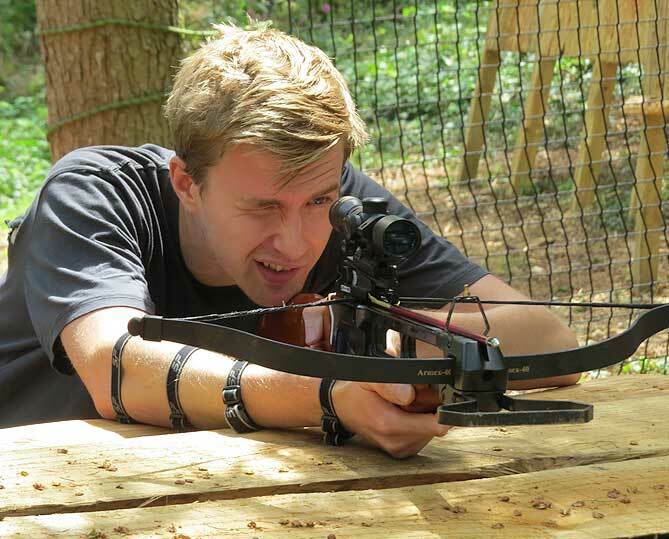 The Insight Activities archery range is located in a gorgeous private woodland both in the new Forest and in Dorset, and comes with a full range of recurve bows and rifle crossbows. 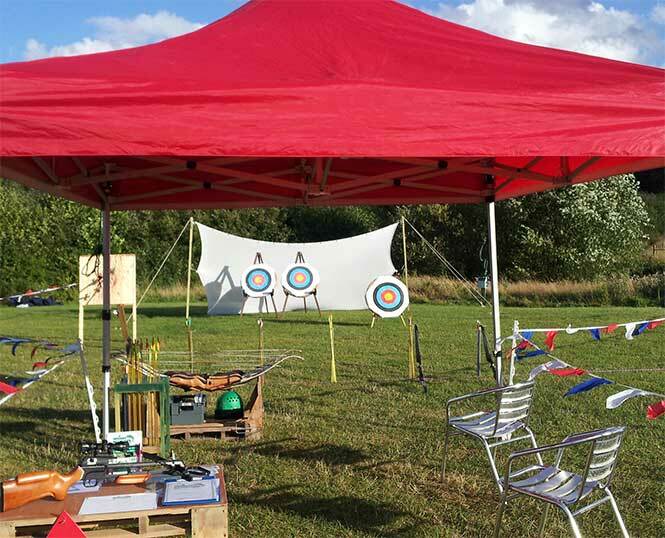 It’s the perfect activity for all ages (6+) and, depending on your individual requirements – the targets can be adjusted to skill level, you can shoot for balloons and play a variety of competitive games to make your archery experience even more engaging. £20 for 2hr lesson. Calling all Walking Dead fans – We also offer rifle powered Crossbows, a modern take on traditional archery. Magnified scopes will help you shoot an apple from a Zombies head at 25m! Archery & Crossbows combined 2hr session is £25pp. 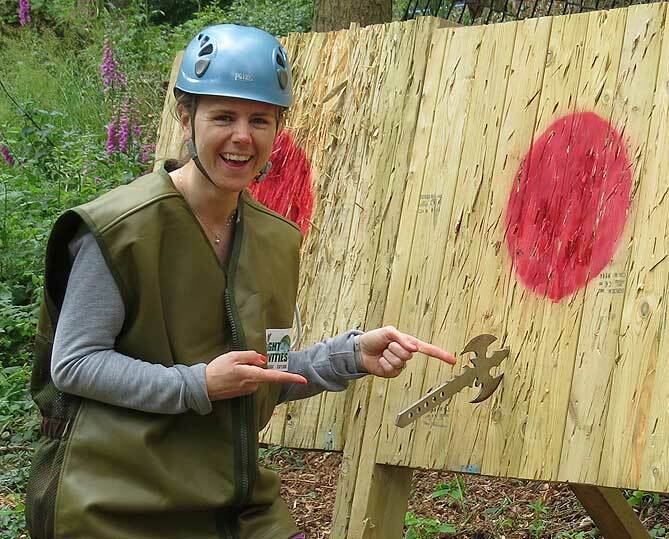 Connect with your inner warrior and try the medieval activity of Axe Throwing in the new forest or Dorset. We have custom made axes and provide excellent tuition to help ensure your success. A safe and fun activity for all aged 12+. Challenge ‘Freddie Flintoffs’ Axe throwing record, as seen on Sky1 & Channel 4. Archery with Crossbows and Axe throwing costs £30 for a 2.5hr combined session of all 3 activities. £25pp for 2 hr session. Insight activities have over 15yrs experience in delivering quality mobile activities for events. We can supply mobile shooting ranges for corporate events, private birthday parties, weddings or just about any occasion you can think of!